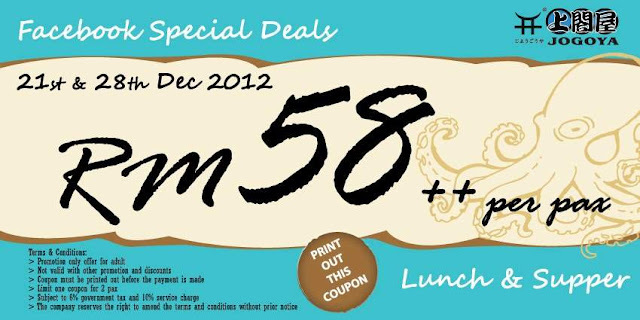 RM58++ per pax Online Coupon for JOGOYA BUFFET LUNCH & SUPPER! Coupon must be printed out before the payment is made. The company reserves the right to amend the terms and conditions without prior notice.